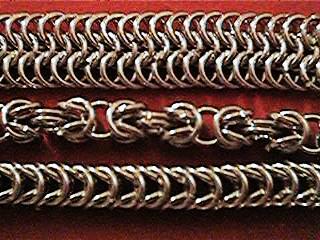 Chainmail, Chainmaille, for Sale Custom Made! 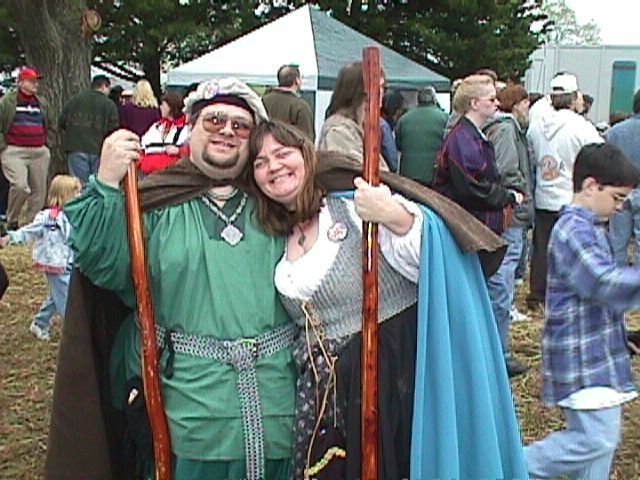 Lord Andrew and Lady Danor/Danae taken at Withrow Springs, Arkansas in '99. 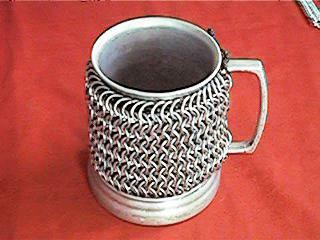 I make chainmail for all seasons and reasons. Name your occasion I'll be happy to fulfill all your Chainmail needs for you! A. 6 in 1 for $25. C. Box Pattern for $25. Contact me for the current prices and sizes of mugs available and other unique gifts. 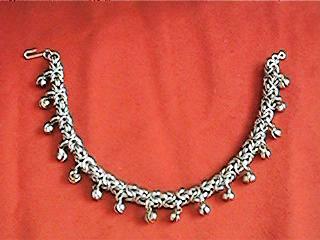 Check the other pages to see some of my other Items.